Address: 430 Karuna Ln, Buckingham, Virginia 23921. Accomodations: Campers sleep in rustic cabins supervised by two counselors. with Sam Eberle, Reverend Sam Rudra Swartz, IYM, E-RYT 200, RCYT, YACEP and Meera Ellen Mangum, E-RYT 200, B.S. 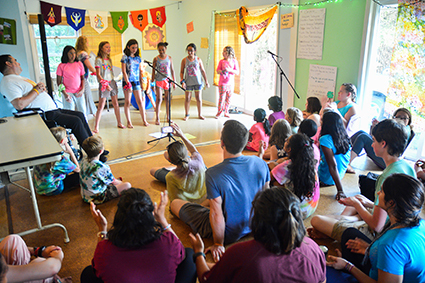 Camp Yogaville is Integral Yoga® for kids—a two-week-long Yoga summer camp in the heart of Virginia for children ages 8 to 12. We’re flexible!. It’s a great opportunity for your kids to share and relate to one another in a yogic way. Visit www.campyogaville.org for videos and updated information, or email [email protected]. Couples Retreat, July 19–21, is offered while kids are at Camp Yogaville. Take advantage of this time to strengthen and deepen your relationship. 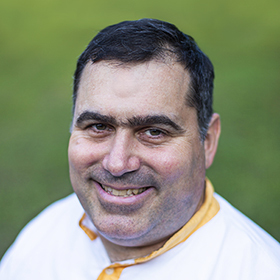 Sam has lived in Yogaville for fifteen years and has served as a Camp Yogaville director for the last four years. In 2002, he spent two months building schools in Kenya and spent all his free time playing with the local children. 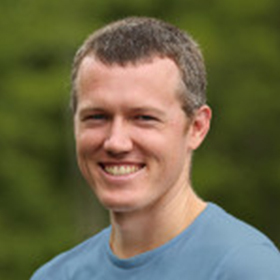 Sam is the head of Shakticom, the Integral Yoga multimedia center in Yogaville, as well as the webmaster for Yogaville.org. He is also a member of Yogaville’s Board of Trustees. Meera Ellen Mangum, E-RYT 200, B.S. Meera was raised in Yogaville and attended the Yogaville Vidyalayam school, Tandem Friends School, and Charlottesville High School. She completed her 200-hour Yoga Teacher Training at the Integral Yoga institute in Coimbatore, India and is also certified as a Kidding Around Yoga (KAY) teacher. She earned a bachelor’s degree in Psychology from Virginia Commonwealth University and is an assistant teacher at a Montessori school in Richmond, VA. She has participated in Camp Yogaville for 17 years, beginning as a camper in 2001. 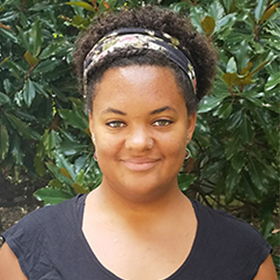 Learn more about Meera Ellen Mangum, E-RYT 200, B.S.